Lethal White by Robert Galbraith, a pseudonym for J.K. Rowling, was released yesterday to much excitement. Like the Harry Potter novels that seemed to grow in size with each new release, Lethal White is the lengthiest of the Strike books, clocking in at a hefty 600+ pages. This book is the fourth installment in Rowling’s series of Cormoran Strike detective novels, the first three being Cuckoo’s Calling (2013), the Silkworm (2014) and Career of Evil (2015). Since the publication of the last Strike book, the series has been adapted into a BBC television show as Strike: Career of Evil. If you’ve read all the previous books, you can skip this part and scroll on down to the plot summary for Lethal White. This is a quick summation of the other books for the uninitiated. This only contains brief case summaries and stuff that’s helpful to know for reading Lethal White. Book #1: Cuckoo’s Calling. Cormoran Strike is ex-Military Police (an investigator in the SIB, Special Investigative Branch, of the British military) and a struggling private investigator. His father was a rock star, and he hates being asked about it. He has an amputated leg from a bomb in Afghanistan and is sleeping in his office post-breakup with his on-and-off-again girlfriend, Charlotte. Charlotte/Charlie is rich, hot and kinda nuts. He hires Robin Ellacott via a temp agency as a secretary. Robin is engaged to Matthew, an accountant. Their case: Lula Landry. She is a famous supermodel who jumped to her death three months prior. Eric Wardle is a detective on the case, who helps Strike out and gets some credit when it’s solved. When the (highly publicized) case concludes, Strike gives Robin a green dress as a parting gift, and he asks her to stay on. She agrees. Book #2: The Silkworm. The case: Leonora Quine is looking for her missing husband, a once-famous novelist whose soon-to-be published book Bombyx Mori was leaked and is wreaking havoc among the literati. Robin’s investigatory work strains her relationship with Matthew. When the case ends, Strike signs Robin up for investigative training courses as a Christmas gift. Book #3: Career of Evil. Robin is now a full-fledged investigator. Robin breaks off her engagement with Matthew after discovering he cheated with a girl named Sarah back in their university days. Robin and Strike are investigating a case involving a killer known as the Shacklewell Ripper. In the course of the investigation, Robin is attacked and seriously injured by the killer, resulting in her reconciliation with Matthew. Robin makes a risky decision without informing Strike, who fires her. Robin leaves for her impending wedding and Strike tries to contact her, but the message and call history are deleted by Matthew. Strike proceeds alone and catches the killer. He then rushes to the wedding to help repair his relationship with and rehire Robin, and arrives just as the vows are being exchanged. He enters, and Robin smiles. Private Investigator Cormoran Strike and Robin Cunliffe (née Ellacott), his partner slash right hand man (who has been rehired), are back in Lethal White with a new mystery to solve. It’s 2012 and the Olympics are soon being held in London. A disturbed young man by the name of Billy shows up at Strike’s London office talking about a murder he once witnessed — a strangulation of a boy that was wrapped up in a blanket and buried. Billy runs off, but Strike looks into it anyway. Strike’s investigation leads him to a committee of Olympics protesters, mostly lefty anti-establishment types, led by Jimmy Knight, Billy’s brother. Soon, Jasper Chiswell, a Tory (conservative) official, is asking him look for dirt on two blackmailers, one of whom is Jimmy. The other blackmailer is Geraint Wainn, the husband of another governmental official. Meanwhile, Chiswell’s estranged wife is an equestrian with unclear motives. With one possible murder and two blackmailers to chase after, Cormoran and Robin are sent into the complicated realms of warring politics and equestrians, infiltrating organizations and doing reconnaissance in the halls of Parliament and in the dark corners of old boys’ clubs. Lethal White requires a little bit of patience and effort, especially in the first half, as Rowling puts everything into place. The beginning reads less like a heart-thumping thriller and more like a steady narrative being built up. People who are used to brisk mysteries may struggle through this, but those who like mysteries that are more fleshed out with good character development may enjoy this. At the half-way point, the plot begins to ramp up as the mystery deepens. The plot is gloriously complicated, with a huge tangle of characters and motivations and secrets to uncover, especially in comparison to your average thriller. Still — and I love J.K. Rowling so it pains me to say this — overall, the book does run long. It feels like it’s carrying some dead weight. Rowling is a planner and the book reads like it. Like her other novels, Rowling builds up the many, many elements of her plot methodically and moves the storyline alongside it, the details carefully selected and situated, waiting for their role in the book’s finale. The first books in the series introduced these characters, but they were really vehicles for telling the story of the main mystery. Starting with Career of Evil (Book #3) and now in Lethal White, the balance has shifted where the story being told is about Cormoran and Robin — and the mystery is there to help tell that story. Cormoran and Robin’s relationship is the true beating heart of this book. Rowling’s love for her characters seems to make it difficult for her to provide them with real love interests other than themselves. They are both involved in other relationships, but the obvious flaws of their respective partners ensure that these other romantic interests can’t be viewed as legitimate rivals. Personally, I think it would be a little more interesting to give the two of them real competition for each other’s affection. I felt a little bored whenever Matt or Lorelai came into the picture. As a sidenote, I wouldn’t recommend reading this in parts, since you’ll likely forget everything in the interim. There’s a ton of characters and moving parts, so even though our intrepid detectives are consistently summing up the situation for you, this book requires a bit of concentration. Despite this book being wrapped in a bewilderingly atrocious cover, this book is a solid entry in the series, though not really my favorite. Long-winded or not, fans of the series will probably forgive the extra bloat of the book to enjoy its complicated and tangled mystery. It’s a ferocious Gordian Knot, just waiting to be patiently picked apart. For those who haven’t read the previous three novels, you can enjoy this one without having read them (also scroll up for my series summary). However, it’s probably advisable to start from the beginning if you’re planning on reading all of them anyway, since Rowling does like to revisit old characters. Plus, given that this one requires some effort, I wouldn’t recommend it as a jumping off point for the series. The book is slowly paced, especially in the beginning as Rowling sets her scene and continues to develop Cormoran and Robin as characters and their relationship, so readers shouldn’t expect a quick read. But planning and execution of the book is done purposefully and the end is worth exercising some patience. The second half proceeds faster, and it is ultimately an imperfect but rewarding and twisty book. Are you planning on reading this book? 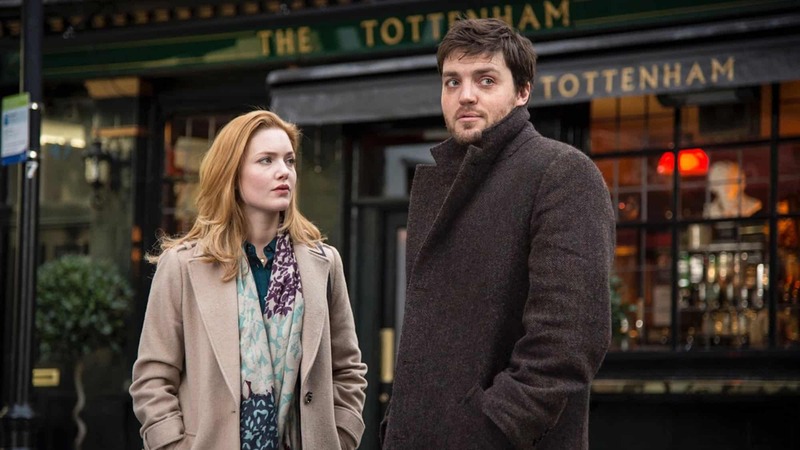 What do you think about the Cormoran Strike series so far? See Lethal White on Amazon or Book Depository. How moralistic do you think Strike is in general? For example, what do you think about Cormoran's stance that it's to get dirt on blackmailers? Robin feels that it's morally ambiguous, do you agree? If (or perhaps when) Robin and Cormoran finally get together, how do you think they would work as a romantic pairing? Do you think the author is setting them up to end up together eventually? What do you think about how their romantic relationship is progressing? What did you think about CORE (the Olympic protest committee)'s concerns? When the government comes in and creates these huge projects that displace wildlife and people's homes, do you think people have a right to be angry or is it for the greater good? What did you think about the pacing and structure of the book? Was it slow for you in parts or did you think it was about right? What did you think of how the mystery unraveled? Which twists and turns in the book did you see coming and which were you surprised by? Is there anything you guessed way in advance? The best mysteries are often the ones where the clues are all presented, but only when it gets revealed you're able to see how they fit. Do you think that's what happens there? What do you think about the introduction of Sam Barclay into the group? Is the trio similar or dissimilar to her trio in Harry Potter? Why do you think Rowling included him? 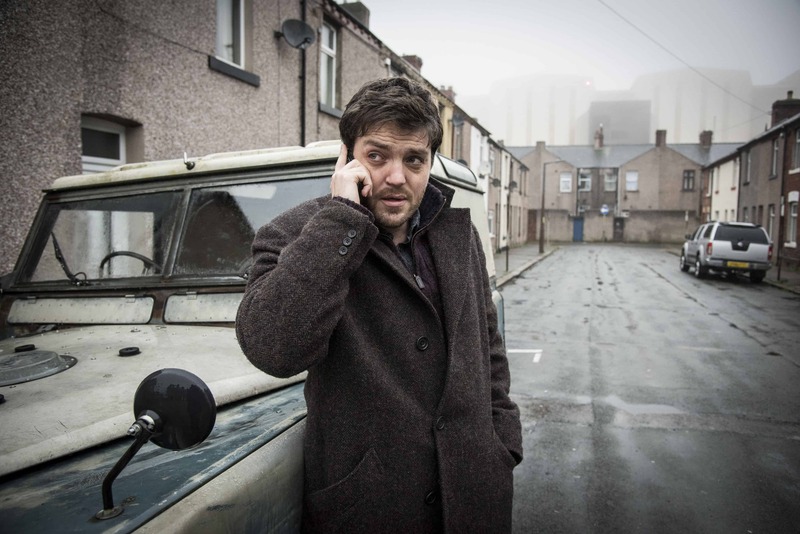 What do you think of Cormoran's relationship with Charlotte? Does she really love him? What about Robin's relationship with Matthew? I haven’t read any of these books yet but I want to. I didn’t know it had been turned into a tv show, it looks like it could be good! Thanks for the review! I’m next in line for this at my library, so I’m very excited! I haven’t read any of Rowling’s mystery series, but I think I might like them. Too bad this has such a slow start. Thanks for the review. Yeah, it’s a little bit of an effort. I’ve been following the series so I read it anyway, but I don’t know if I’d recommend starting with this book if you haven’t read the rest. Cuckoo’s Calling is probably the best place to start! Your review reminded me a lot of Elizabeth George’s Lynley/Havers mysteries–a literary mystery. And her books keep getting longer, too, with lots of character development. Interesting review.. Thanks Judi — I haven’t read any of those but it sounds like something I might like. I’ll definitely look into it, thanks for the heads up! Great post! Was re-reading Harry Potter in Spanish for practice. Great to be exposed to other series from J.K. Rowling! Thanks Charles — ooo the Harry Potter series sounds like a great one to read for Spanish practice. The Cormoran Strike series doesn’t have quite the same charm as the Harry Potter series, but I love mysteries so I like them anyway. :) Good luck with your practicing! I haven’t started the series yet but it’s been long on my tbr. I love what you said about Rowling’s writing of love interests. I also feel that she could be better at writing love stories between her characters. Nice review! Thanks! yeah, I’m not entirely sold on the romance here either — she’s definitely much better at the mystery aspects. Hope you like it if you get a chance to read it! I love this series and I am dying to read this one too! :) And hopefully I would start to watch the show, too… I am way behind with that!! Have you watched it? That’s so cool, I’m jealous she’s a living legend! I don’t think I included any spoilers, though I guess people have different definitions of what constitutes a spoiler, so if people are particularly sensitive it’s probably best to skip reviews. I’ve been including a “read it or skip it?” section at the end of my reviews that’s fairly safe so if you’re here you can probably just read that in the future. Thank you for leaving your thoughts and please do let me know what you think after you’ve read it! I never knew the author was really J.K. Rowling. Great break-down! I agree with many of your points. It seemed like each plot thread was fighting for the forefront: Robin’s life, Strike’s life, the decades-old murder, and the blackmail case… this one just didn’t seem at tight as the other three. Thank you! And yeah, I’d agree with that assessment. I’m still liking the series as a whole though. Looking forward to what she comes up with next! Ahh I’m just as excited about this! It’s sat on my bookshelf waiting to be read. I love the earlier books so far! Thanks for posting! Reading this at the moment. One of the best crime series I’ve read in a long time. Hope you’re enjoying it! This book wasn’t my favorite, but I still liked it and overall it’s a great series! Thanks for dropping by! I am currently reading the silkworm after finishing the cockoo’s calling. I am excited. I must read them all. I like how Robin is ambitious in the investigations and how Strike interviews supposed witnesses. Oooo the silkworm was a little dark for my tastes but the mystery in it is really well done, I think. Thanks for dropping by and happy reading! I like the series, but the books are way too long for me. Guess I’m used to the fast pace of most crime novels. An interesting review. I thought Cormoran and Robin made an engaging combination, so I’ll have to put this latest one on my Christmas list. I’ve loved this one. Not my favorite from the series, also,but such an intricate and engrossing mystery, I couldn’t put it down. Great review, very thorough. Based on what you say I think I will give this one a miss. So many books…so little time! This one doesn’t sound quite worthy of my ‘to read’ list. Thanks for review! I’ve only read The Cuckoo’s Calling which was good but I found it quite difficult to follow with all the characters and Galbraith/Rowling does like her detailed labyrinthine plots!